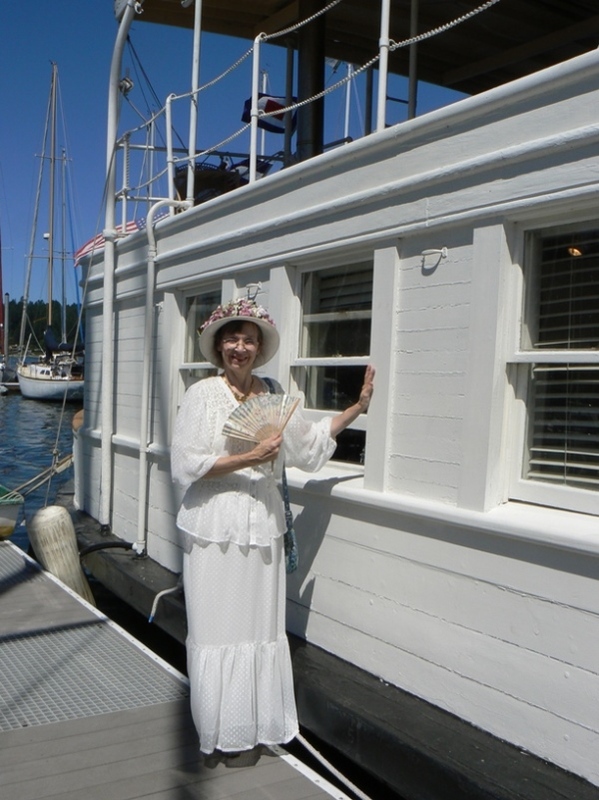 Certain Members of Somewhere in Time, Unlimited (a historical costuming group) participated in a Dress-up Opportunity on Vashon Island, WA. 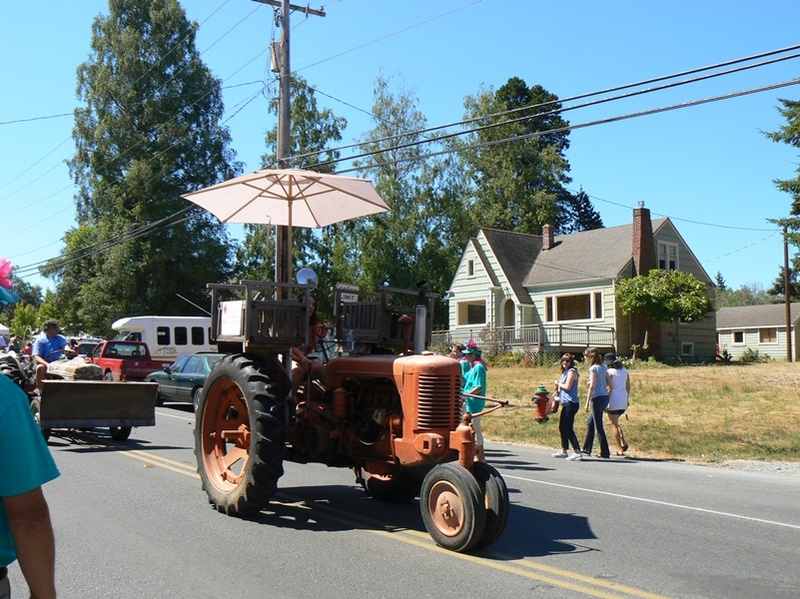 The MV Lotus, a 1909 historical motor vessel from Seattle, had been invited to participate in the annual parade. 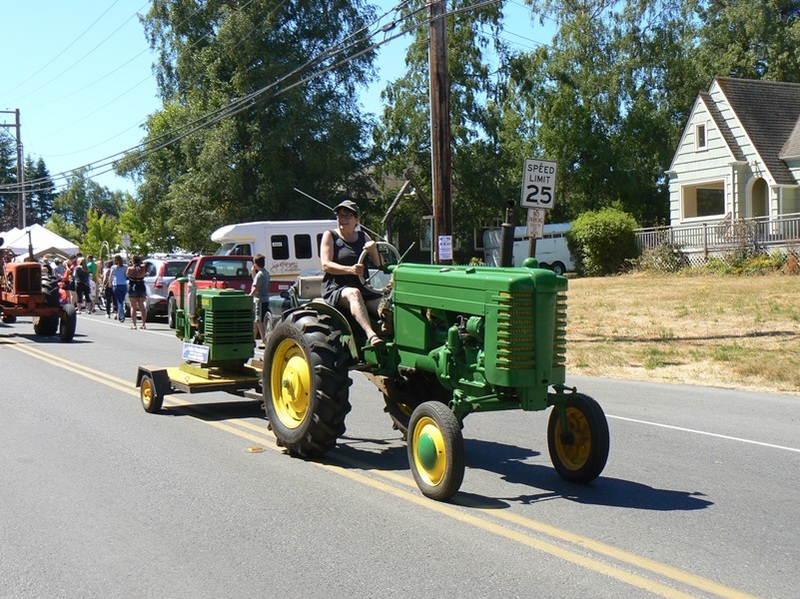 Since Lotus exceeds 90 feet in length, another wooden Chris Craft boat on a trailer was entered into the actual parade. 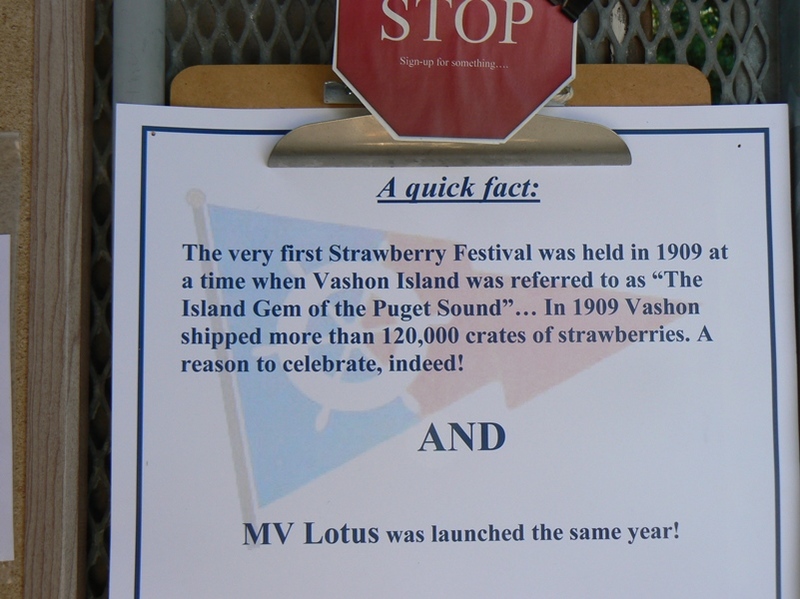 SITU Members and Docents of the MV Lotus distributed invitations along the parade route. 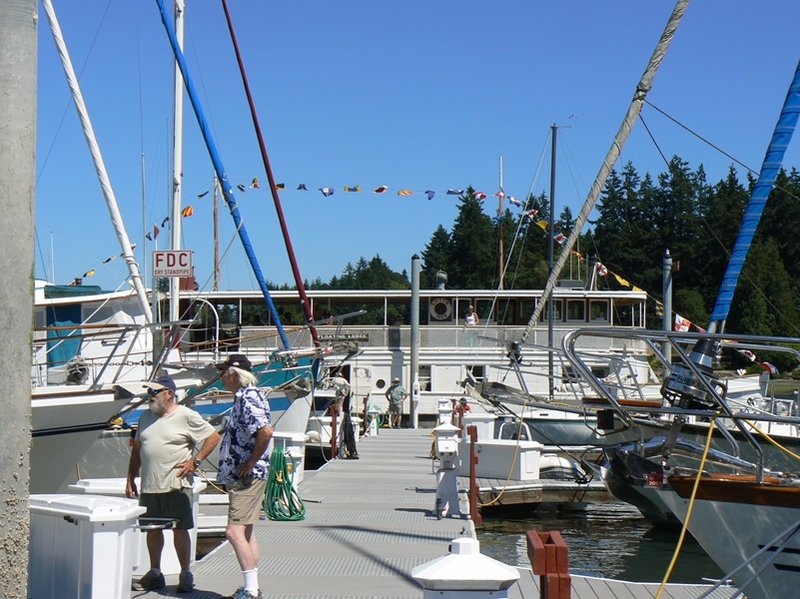 MV Lotus could be viewed at the Quartermaster Harbor Yacht Club. 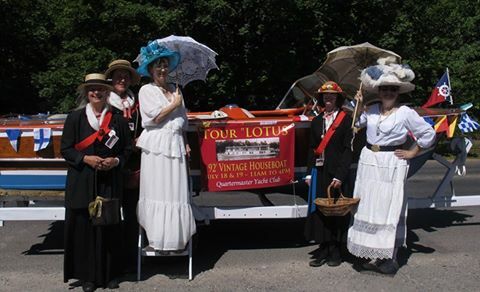 The weekend was wildly successful with over 1500 visitors boarding Lotus for a tour! Below are images captured that day. 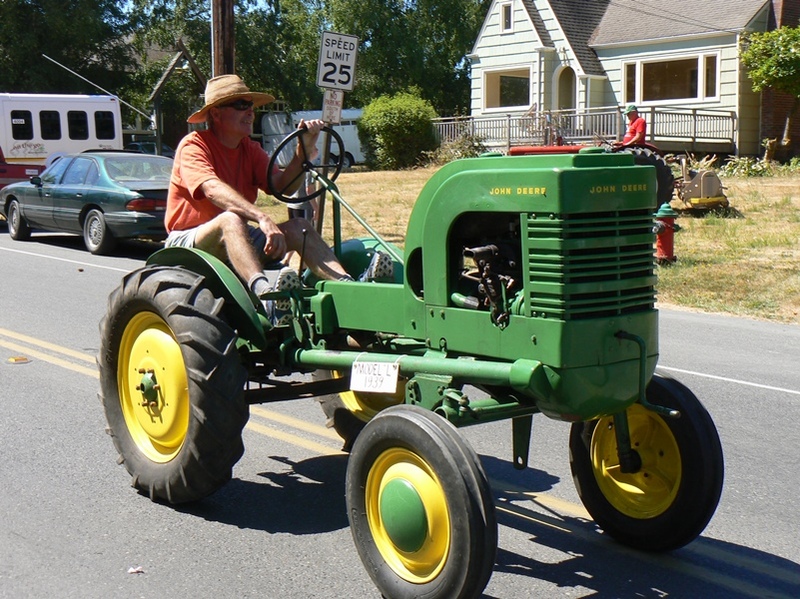 Click on the image itself to view a description of the scene. 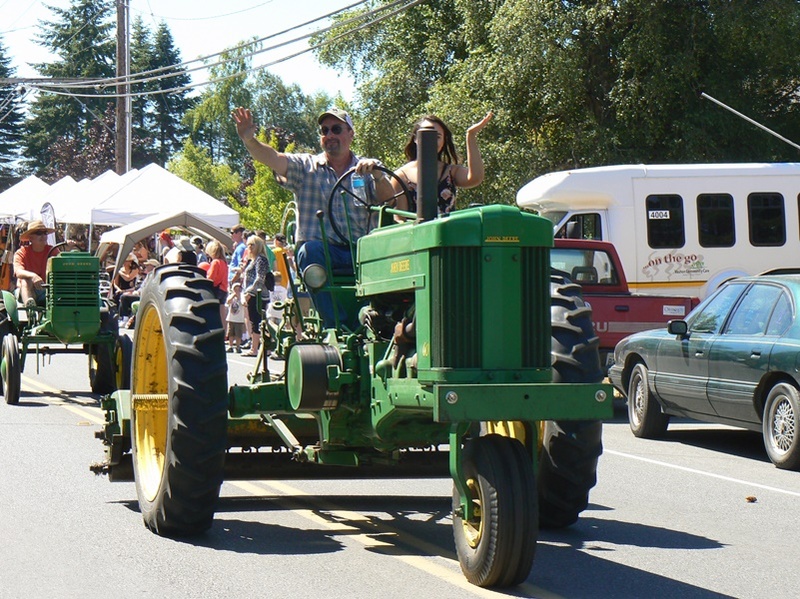 The volunteers who would hand out invitations to spectators, gathered at the beginning of the parade. 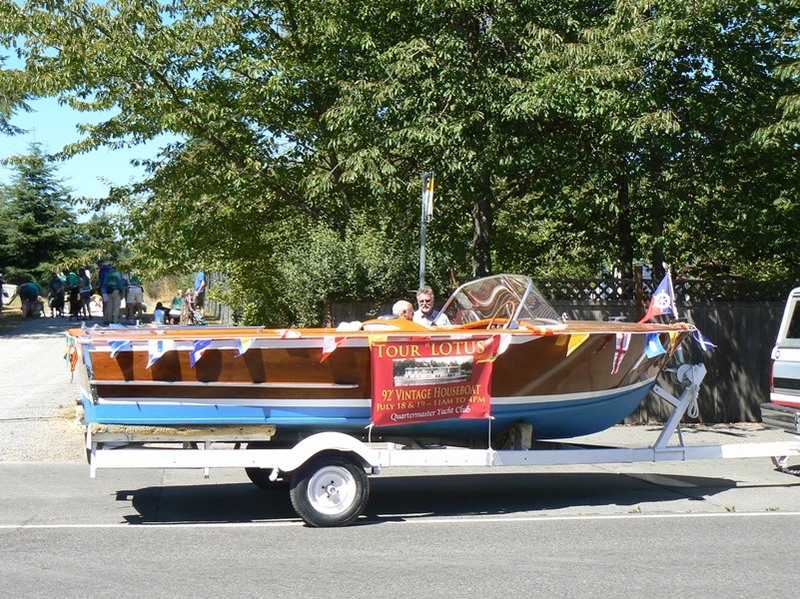 Custom banners depicting MV Lotus, are draped from a vintage wooden Chris Craft! 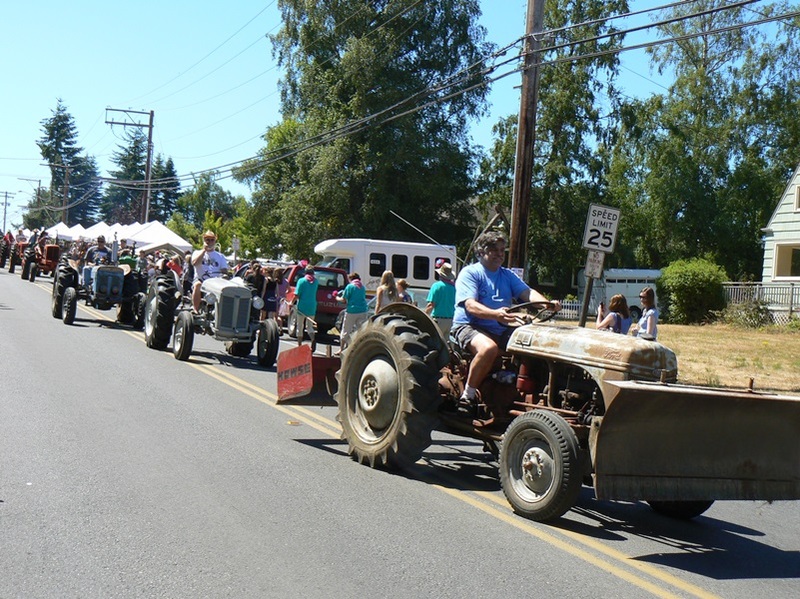 Sir Harry (in boater hat) traveled in style for this parade. 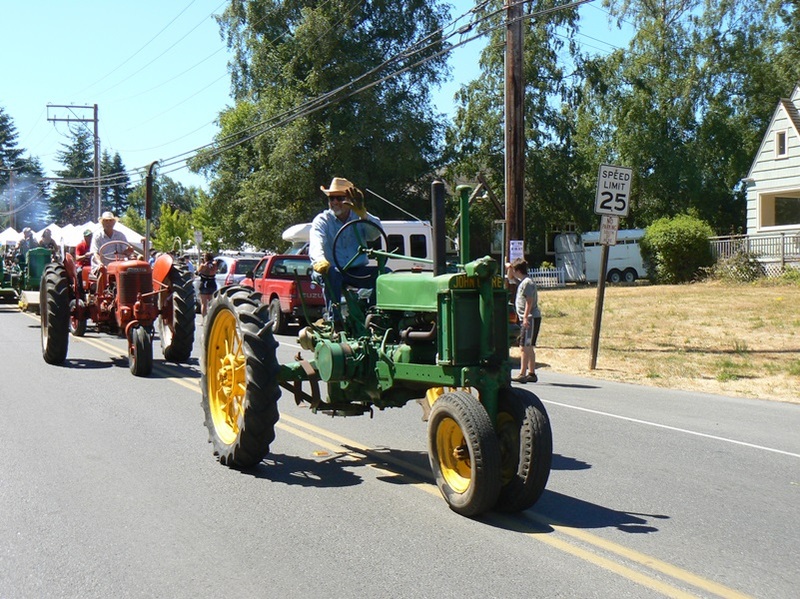 Members of Somewhere in Time, Unlimited walked the Strawberry Festival Parade route, handing out invitations to view the MV Lotus, docked in Quartermaster Harbor for the weekend. Lotus rubbed shoulders with other beautiful vessels in the harbor. 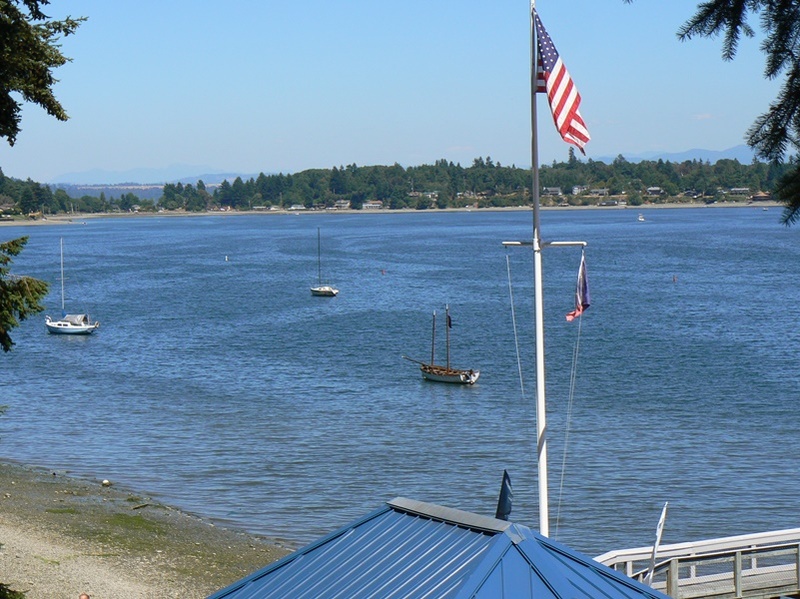 At over 90' in length, MV Lotus was as long as two sail boats plus a floating dock! 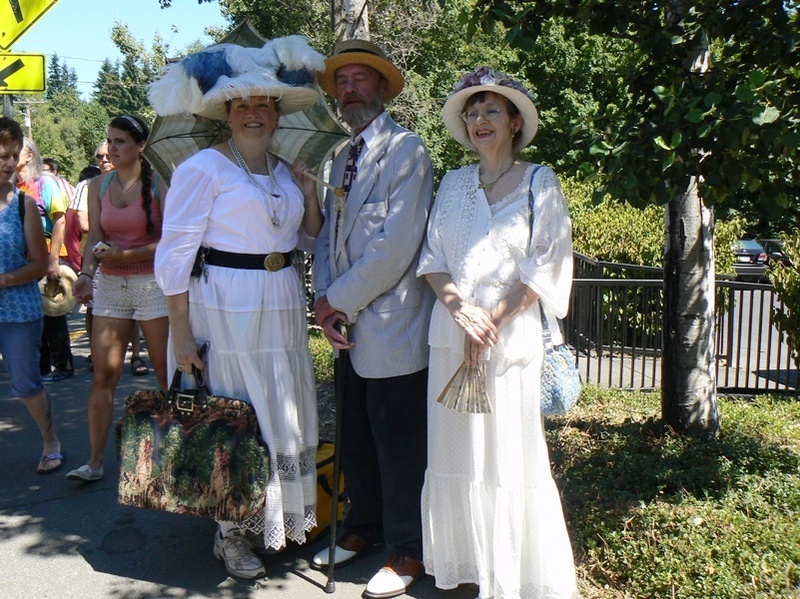 Despite the heat, the Countess looks fresh in her "Summer Whites." 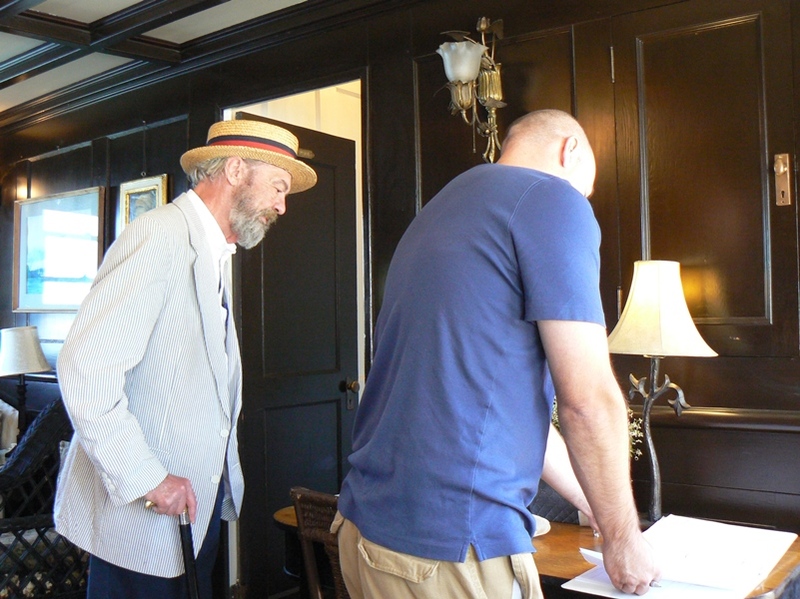 Sir Harry of Essex looks over the shoulder of a visitor aboard MV Lotus. 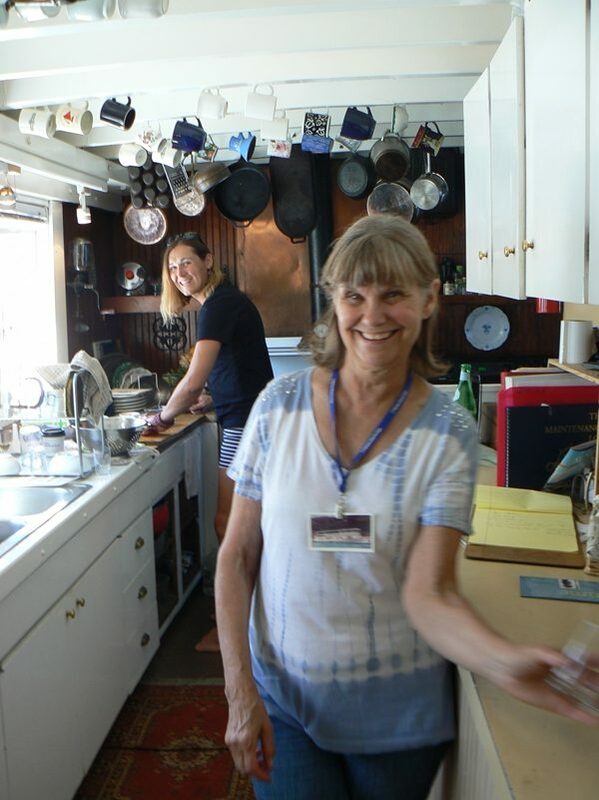 Miss Sherry is doing a great job keeping the general public out of the galley area. 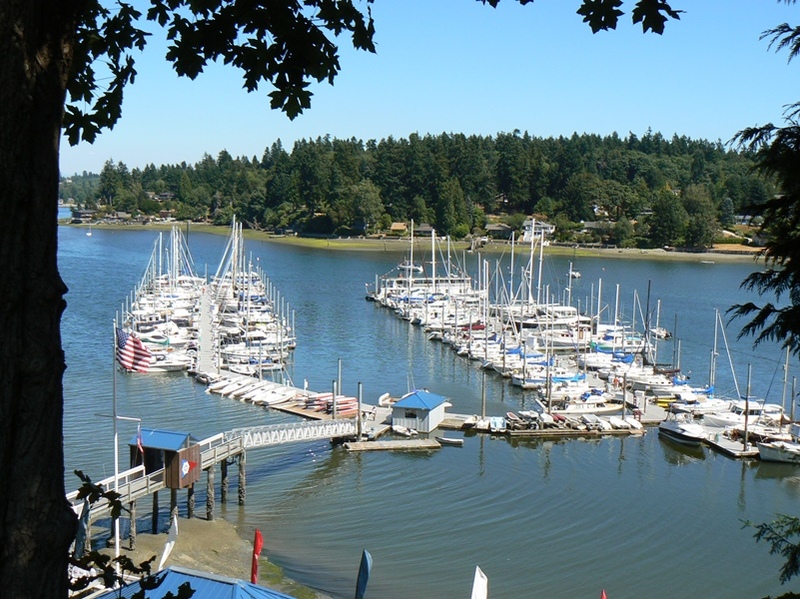 It was a lovely day with wonderful breezes blowing into Quartermaster Harbor on this day. Sir Harry of Essex waves goodbye for now. It's time to go home. 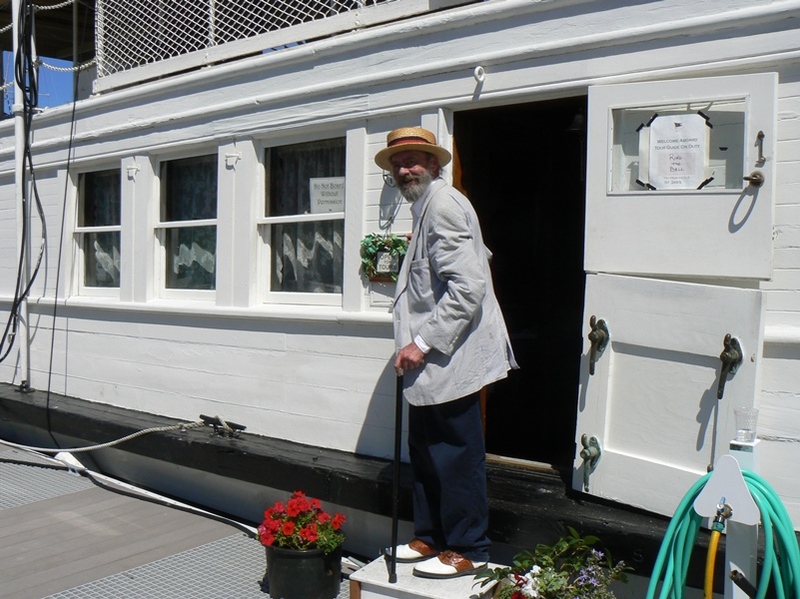 Thank you, Strawberry Festival and Quartermaster Harbor Yacht Club for inviting MV Lotus and Member of Somewhere in Time, Unlimited for a wonderful experience!